Has anyone else ever wanted to visit a location because they saw it in a movie? I’d always wanted to visit Scotland anyway, but the romantic comedy “Made of Honor” just cemented this idea! 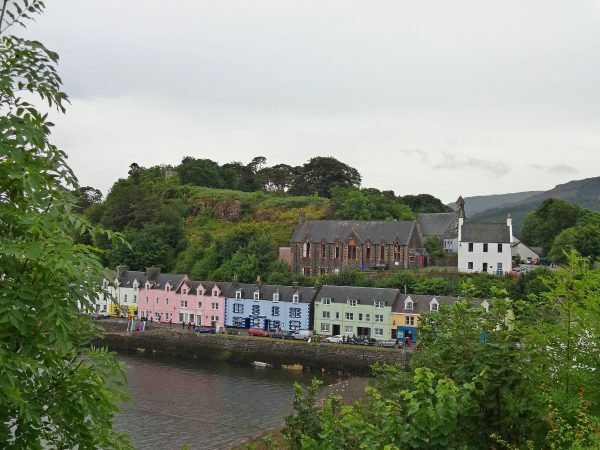 I recently posted a few ‘throwback’ photos on Instagram of some of the “Made of Honor” filming locations in Scotland I’ve visited and thought perhaps I should also write a post about them in case other people were also interested. While it’s not the most highbrow film ever (it’s probably not even the best romantic comedy ever), I love it! Mostly because of the Scottish locations and the Scottish actor Kevin McKidd. You may know him as Major Owen Hunt on “Grey’s Anatomy”, although in “Made of Honor” you can also hear his real Scottish accent. If you love him on Grey’s and haven’t seen “Made of Honor” then you must see it immediately! It also stars Patrick Dempsey, who played ‘McDreamy’ Dr. Derek Shepherd for years on Grey’s Anatomy as well. But even though he’s the leading man of the film, I always preferred Kevin McKidd’s Scottish character Colin and (spoiler alert!) wouldn’t have left him for Tom like Hannah did in the film! Like, seriously, who would give up living in a beautiful castle in the Scottish highlands with a hunky Scot?! 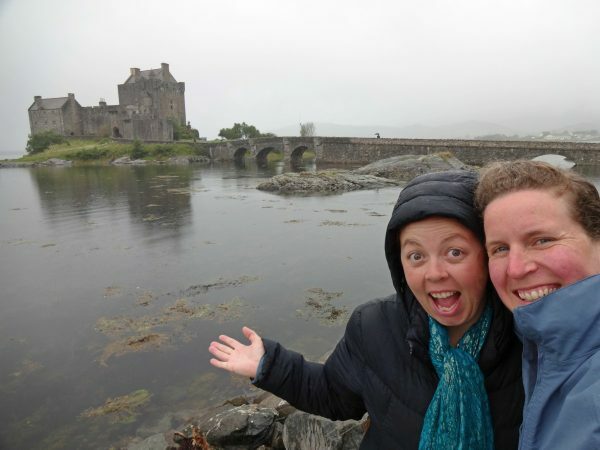 I was lucky enough to go on a tour of the Scottish Highlands a few years ago, and coincidentally also got to visit many of the “Made of Honor” filming locations in Scotland along the way! So I’ve put together this little guide on the main filming locations for you in case you’re also as obsessed with this film as I am. Of course, half of the movie was also set (and filmed) in New York City which I have never visited. But you can bet that as soon as I get there I will be visiting lots of filming locations for this and all my other favourite films and TV shows! So perhaps then I can do a follow-up post for this. For now, let’s just look at the Scottish filming locations. It probably goes without saying but if you haven’t seen the film and don’t want spoilers; go see it before reading this! 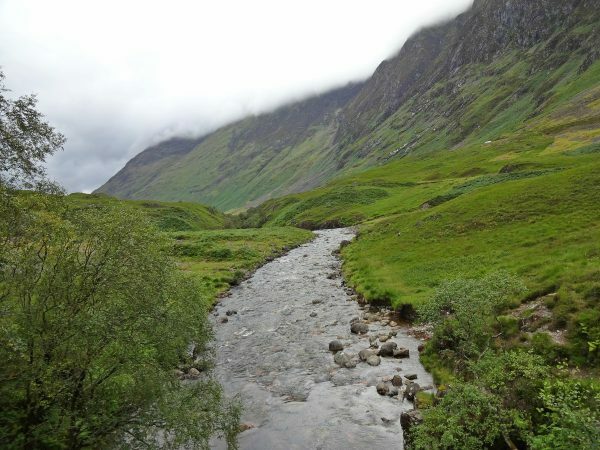 When Hannah’s bridesmaids and Tom first arrive in Scotland they are driven through the area of Glen Coe on their way to ONE (!) of Colin’s ancestral castles. This whole glen is simply stunning and makes the girls all ‘ooh’ and ‘aah’ as they are driving past; and I admit I probably did too! 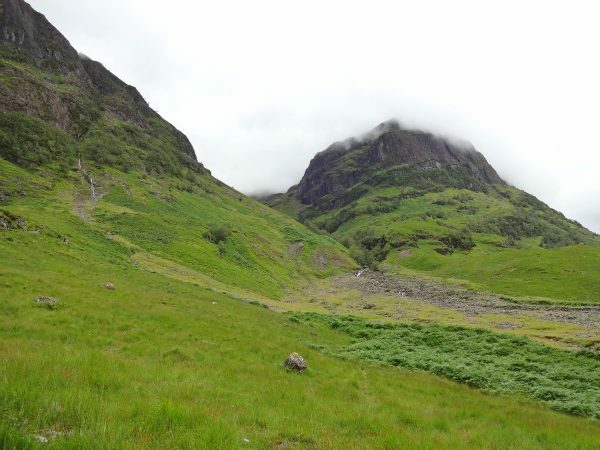 We stopped at the Three Sister’s car park for photos and a short walk into the glen. The area is very pretty and green, and often covered with a magical mist creeping down from above. This general location has also been used in the movie ‘Skyfall’ and the television series ‘Outlander’ so you might recognise those when driving past the epic landscapes. Here’s a shot of me posing in front of the mountain ridges! 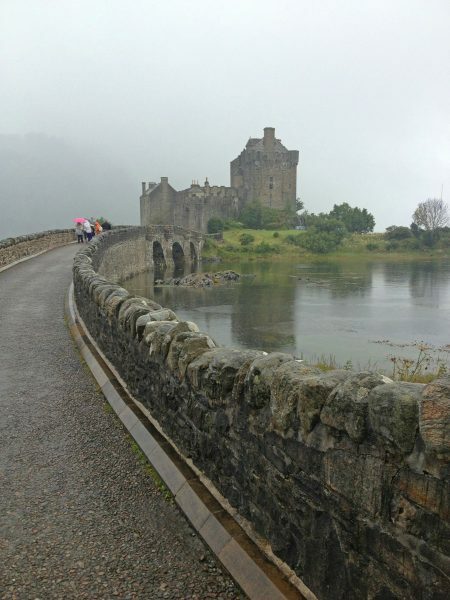 One of the main “Made of Honor” filming locations in Scotland is definitely Eilean Donan Castle. It’s located on the mainland of Scotland quite close to the Isle of Skye – not ON the island as I originally said, whoops! 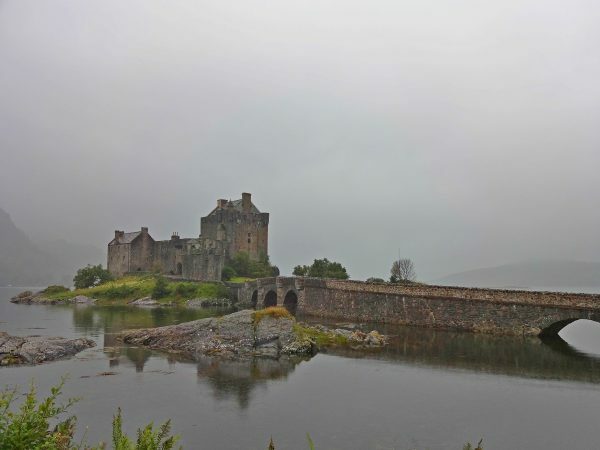 Eilean Donan was used for the exterior shots of Colin’s home and is also famous for being used as a location in films such as “Highlander”, “The World is Not Enough” (another James Bond movie) and “Elizabeth: The Golden Age”. In “Made of Honor” it is the ancestral home of Colin’s family, the McMurrays; but in real life it was a stronghold of the clan Mackenzie and their allies the clan Macrae. Founded in the 13th century the castle was partly destroyed by the government in 1917 because of the Mackenzie’s involvement in the Jacobite rebellions. Lieutenant-Colonel John Macrae-Gilstrap rebuilt the castle between 1919-1932 and it was opened to the public in 1955. Today it is one of the most photographed and recognisable Scottish icons, and of course I (and my friend Robyn) were both very excited to finally see it in real life! It started to rain while we were there, so although it wasn’t quite as sunny as it appears in the movie it was still pretty magical. The rain and mist did kind of make it seem more mysterious and atmospheric though! Our tour driver was also nice enough to stop at a viewing point so that we could get photos of the castle from the Western side before also taking us to the main entrance. You can buy tickets to go into the castle (it costs €7.50 for adults) although opening times vary during the year and it appears to be closed during January. We didn’t have enough time to go in but it’s definitely on my list for next time! You can find out more about opening times and prices on the website here. For more posts about the most beautiful castles I have visited you can also check out my Castle Capers series here! 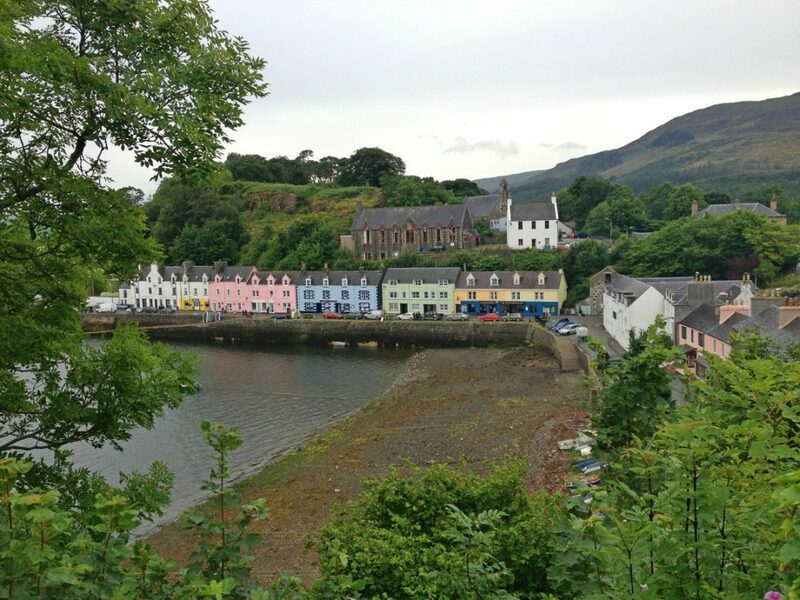 The harbour town of Portree on the Isle of Skye only appears in a couple of shots, but the colourful houses along the main wharf are unmistakable. In “Made of Honor” this is the town where Hannah’s bridesmaids take her for her hen’s party. Although in actuality it’s about an hour’s drive from Eilean Donan castle, it seems like it’s just up the road in the film! We stopped here for a short break on our way to the castle after visiting the Quirang (another stunning landscape on the Isle of Skye). 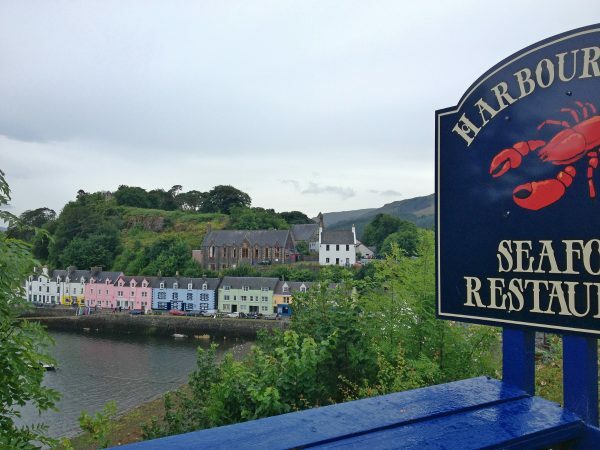 Not surprisingly, it’s a perfect place to get some fresh, local seafood and, of course, enjoy the views over the harbour. This location has to be the one I found the funniest of the places used in the movie, because it’s nowhere near where the film makes it seem to be! Right near the end of the movie Tom tries to rush to the wedding to stop it, and he misses the ferry which would take him from near the castle to the church. He then steals someone’s horse and a man tells him to ride past the monument to get to the church the long way round. But the ferry used for filming (more about that below) is actually located MILES away from where he is. Even if you were going cross-country on horseback there is no way he just rode by it on his way to the church! But it’s still a very pretty spot to include in the film, and also to visit in real life. The monument was built on the location where Prince Charles Edward Stuart (‘Bonnie Prince Charlie’) raised his standard and began the Jacobite rising in 1745. He was, of course, defeated at the Battle of Culloden eight months later. I kind of wish I had been aware of the ‘Outlander’ books (and television series) at the time of visiting the monument and the Culloden Battlefield. I definitely want to return to Scotland to visit some of the filming locations for Outlander too! 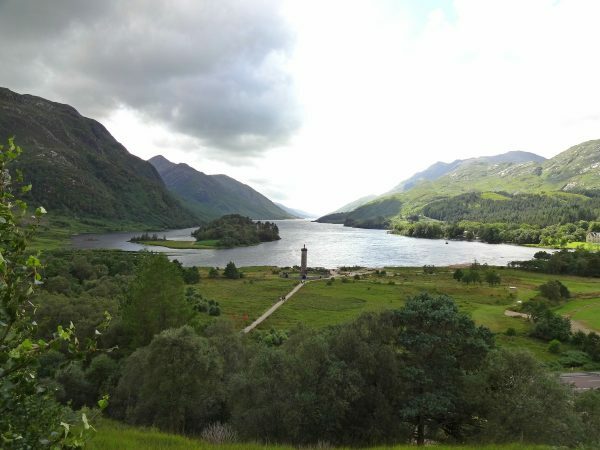 Since we’re talking of the Glenfinnan Monument, this spot is also a great place to see a very well-known filming location from the “Harry Potter” films. 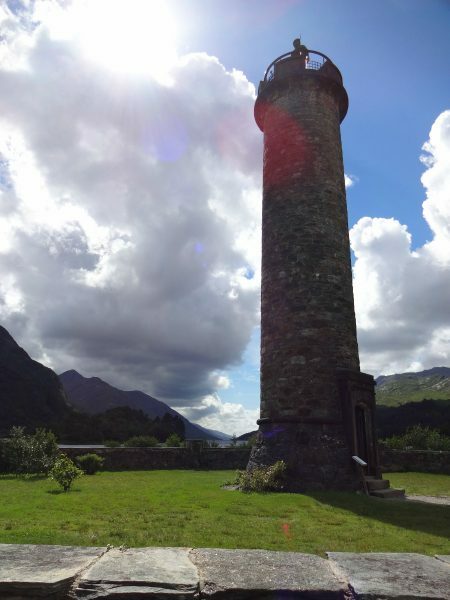 From the little hill behind the visitor’s centre you can see a lovely view of the monument overlooking Lake Shiel. 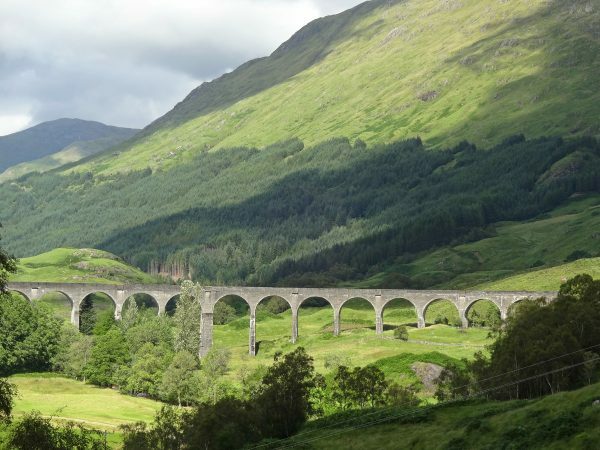 If you turn around, you can also see the Glenfinnan Viaduct (above) which has been used for a number of shots of the Hogwarts Express making it’s way to Hogsmeade. This is a railway viaduct, and the Jacobite steam train runs over the viaduct during the summer and you can even go for a ride on it! We had arrived in time to watch it go past, which was very exciting, but didn’t take a ride on it. If you want to find out how you can travel on this special train you can find more information about it here. Psst, are you a big Harry Potter fan too? Make sure you also have a read of my guide on how to have a perfect Harry Potter themed weekend in London here! There are two other main “Made of Honor” filming locations nearby to these other ones I have mentioned, but I unfortunately didn’t get to visit them on this trip. The ferry I talked about in relation to the Glenfinnan monument is located quite close to Eilean Donan castle and I’ve included it on the map in the next section. Dunvegan Castle on the Isle of Skye is also one of the main locations used during filming, for interior castle shots and the outdoor scenes of the Highland Games (where Tom accidentally throws a tree trunk onto someone’s car). Dunvegan is also a stunning castle and well worth a visit; although it’s only open to visitors between Easter and the 15th of October. 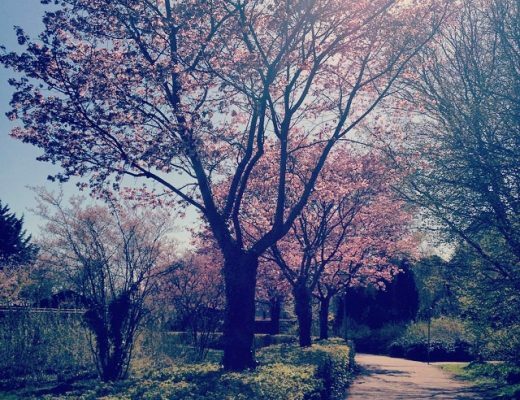 You can buy tickets to visit the castle and gardens, or just the gardens – find out more here. When I visited the locations I’ve written about here I did it as part of a Scottish highlands tour with Haggis Adventures. 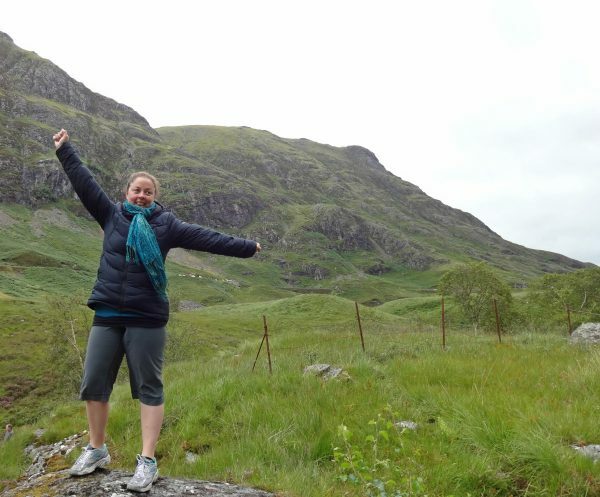 I went on the 5 day Hebridean Hopper Tour and I have to say that I loved it! It was quite a small group and our guide was a Scotsman who both knew everywhere we visited like the back of his hand and was also hilarious. I did this tour a couple of years ago, so it may not be completely the same; although I think it would probably still visit most of the same spots. You can check it out on their website and I definitely recommend the company! If you’re travelling independently then you could also use this handy map to find your way between each of the filming locations I’ve mentioned. Have a great time! 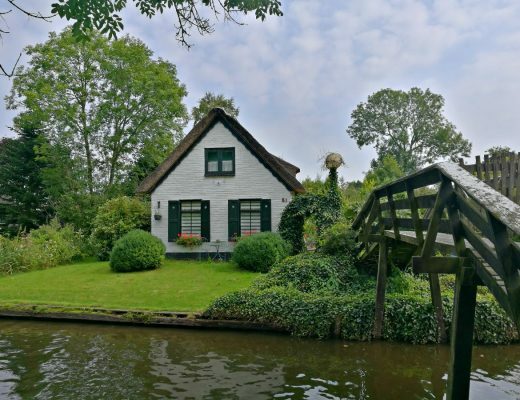 Are you also a big fan of visiting places made famous by books, films and television shows? Then you might like to check out my post on the best Nerdy/Geeky travel spots around the world! 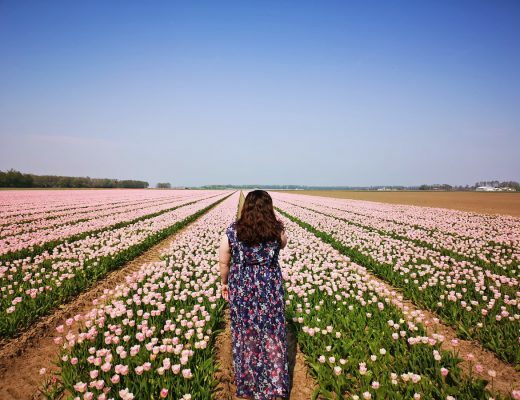 Which “Made of Honor’ filming location would you most like to visit? Let me know in the comments, and make sure you pin this if you are planning to visit these beautiful Scottish locations yourself! So cool! 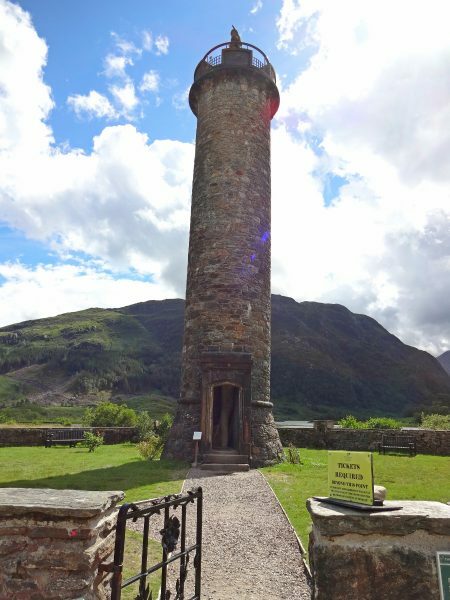 I wish I’d read this before visiting Scotland– I saw most of these places, but definitely didn’t put two and two together as the filming locations from the movie! What a gorgeous place! Erm, I DO like the movie but a couple of corrections are needed. 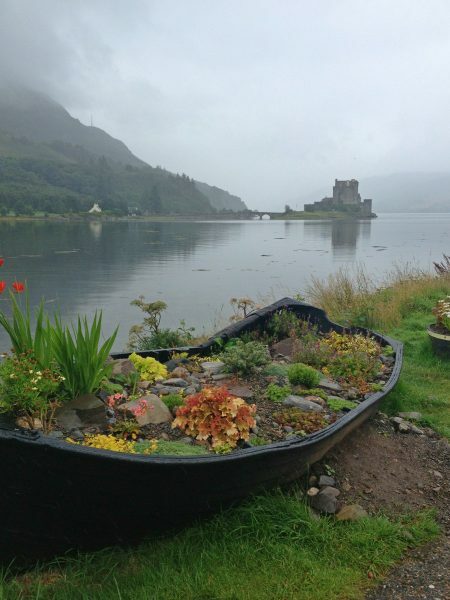 Eilean Donan is NOT on the Isle of Skye! It’s near Dornie on the mainland. Also, the Quiraing doesn’t overlook Portree harbour! Eeek, you’re right about the castle, not sure how I missed that! Thanks for letting me know, I’ll fix it right now! But I didn’t say the Quiraing overlooks Portree, only that we went to Portree after it. But thanks for pointing out my mistake, I definitely don’t want incorrect info in my posts! Thank u so much for the information! I visited Scotland last year, and I didn’t know that Glenn Coe appears in the movie.